Do Your Grades Reflect Your Ability? What Can I Tell You About Our College? A college interview can provide you with an opportunity to explain grades that aren't reflective of your true academic ability. Just be careful to use the opportunity effectively. When Should You Explain a Weak Grade? Some interview questions provide you with an opportunity to explain a bad grade or weak spot in your academic record. Nearly all highly selective colleges have holistic admissions, so the admissions officers want to get to know you as a person, not just as a list of grades and test scores. Your interviewer knows that you are human and that extenuating circumstances can sometimes affect your academic performance. That said, you don't want to sound like a whiner or grade grubber. If you have mostly A's, don't feel that you need to come up with an excuse for that one B+. Also, make sure you're not blaming others for your academic performance. The admissions folks won't be impressed if you complain about an unreasonable teacher who doesn't give out easy A's. However, if you did have circumstances outside of your control that hurt your grades, don't hesitate to explain what happened. Many events can affect grades: your family moved, your parents divorced, a close friend or family member died, you were hospitalized, or other serious events. All of these responses will backfire and paint you in a bad light rather than bring context and understanding to your grades. "I'm very good at math, but my teacher didn't like me. That's why I got a C+." This response suggests that you aren't mature enough to own up to the grade you earned. Was your math teacher that biased and unprofessional? And if so, why didn't you address the unethical behavior with school officials? Even if your teacher didn't like you, this isn't something you want to highlight in your interview. Are you unlikable? "I worked really hard, so I don't know why my grades weren't higher." This response makes you sound clueless. Students who don't understand the low grades they earned are risky prospects for a college to admit. Successful students know what went wrong, and they work to address the problems. "I would have put more effort into my classes, but I was too busy with my job and sports." While this response may be honest, it will not create a good impression. It's wonderful that you are busy with work and athletics, but successful college students have strong time management skills, and they give academics a top priority. "I didn't have to work hard to get all those A's." Shhh. Sure, we all had classes that were easy A's, but don't draw attention to this fact during your interview. "My parents got divorced at the beginning of my sophomore year, and I'm afraid I was too distracted to put in my best effort at school." Fair enough. Big upheavals at home—divorce, death, abuse, frequent moves—can certainly make it difficult to devote 100 percent of your effort to academics. If a large domestic issue did affect your grades, your interviewer will want to know about it. Ideally, however, your academic record shows that the dip in grades was short-lived. If your grades never recovered, the admissions officers will wonder if you have gotten your act together enough to do well in college. "I had surgery in 9th grade and was on a lot of pain medications." Serious illness or surgery can certainly disrupt your academic efforts, and it is worth mentioning this type of disruption if it had a negative impact on your grades. Here, as with the response above, your record should show that the dip in grades was temporary. Make sure you are talking about serious health issues. Your interviewer will not be impressed if you try to blame that weak semester on the sniffles. "Yes, my record does reflect my effort. I didn't work as hard as I should have in 9th grade, but by 10th grade, I had figured out how to be a successful student." The honesty of this response is refreshing. Some students figure out how to succeed later than others. There is nothing wrong with this. In general, colleges will be pleased to see that your grades have trended upwards throughout high school. A downward trend will raise red flags. Again, don't be tempted to explain every little aberration in your academic record. The interviewer is looking to see if you had any major extenuating circumstances that affected your grades. A successful college interview requires some preparation, so make sure you have thought of responses to some of the most common interview questions. You'll also want to be careful to avoid common interview mistakes. Keep in mind that interviews are usually friendly affairs, and you should view them as an opportunity to chat with someone about the college you are considering. Interviewers aren't trying to trip you up; rather, they want to get to know you better, and they want to help you get to know their school better. 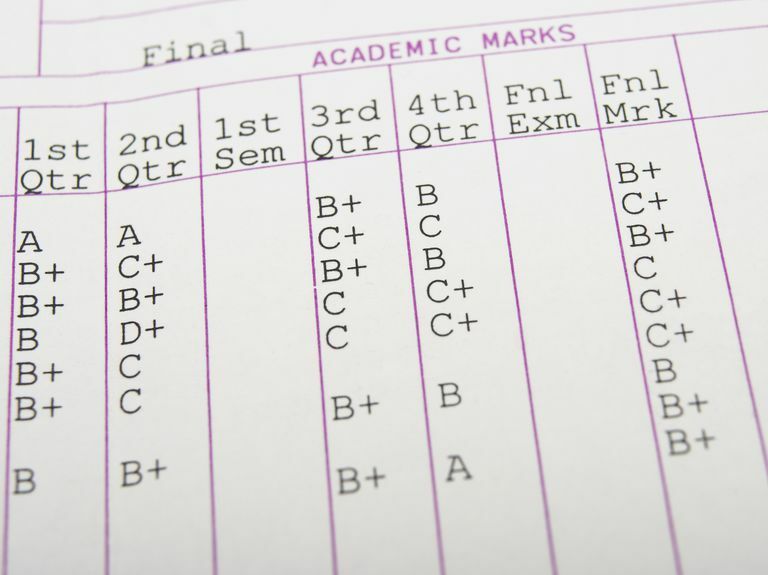 Should You Explain Bad Grades on College Applications? What Should High School Freshmen Do to Get Ready for College? College Interview Prep: What Would You Do Differently in High School?